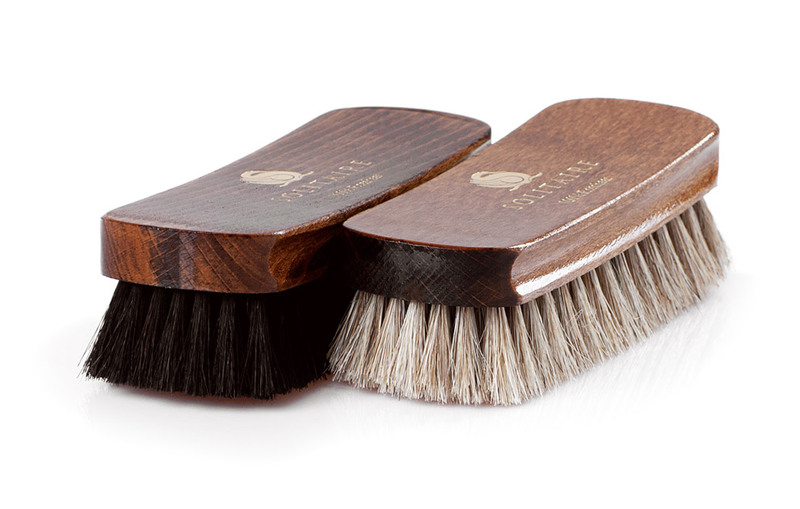 1 Stiff Brush: Equipped with hard synthetic bristles, this is the ideal choice to remove dirt and mud particles from your footwear. Can scratch the shoe surface when used on very delicate leather uppers. 2 Jar Brushes: Our brush set from Solitaire includes two applicator jar brushes, one light-haired and one dark-haired. 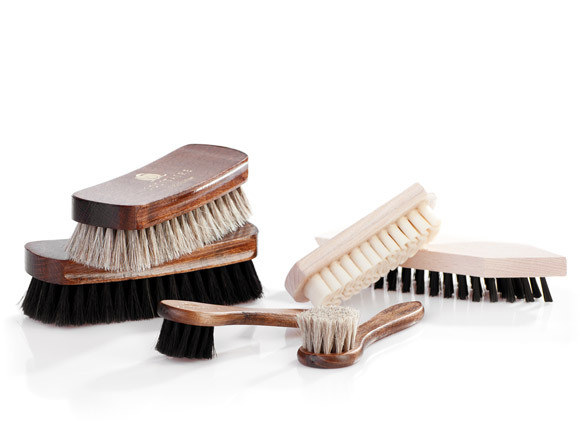 The horsehair brushes evenly spread shoe cream upon the leather upper and are ideal for structured vamps or Brogueing. 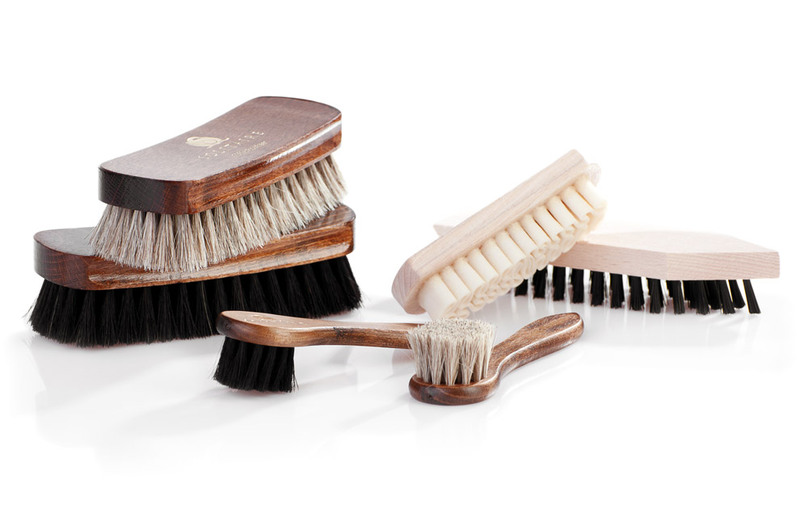 2 Polishing Brushes: Our brush set contains two small polishing brushes (170 x 53 mm) for the final shine. These stained, wood-handled brushes sit perfectly in the hand and with their genuine horsehair bristles guarantee a high-gloss finish. 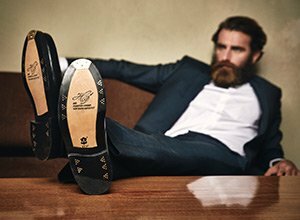 Regular polishing helps your shoes last longer by protecting them with a waxy water-repelling layer. Select a light or a dark brush according to the colour of your footwear. 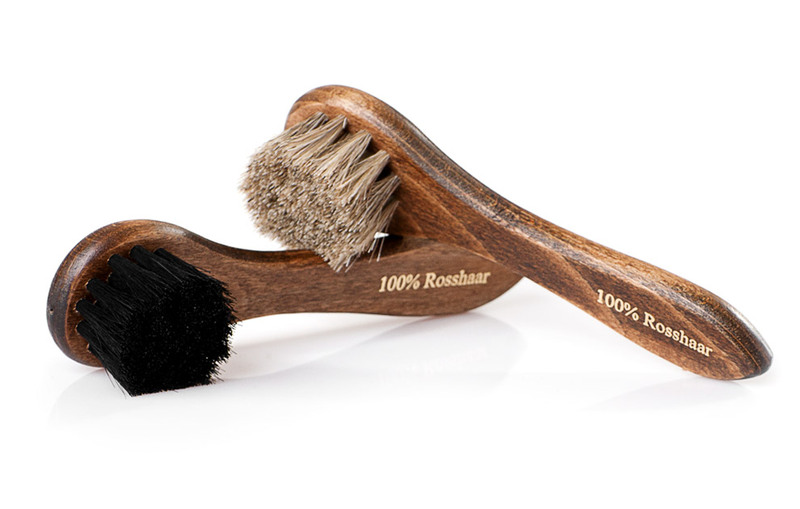 1 Suede Brush: We also include a special brush in our care set. 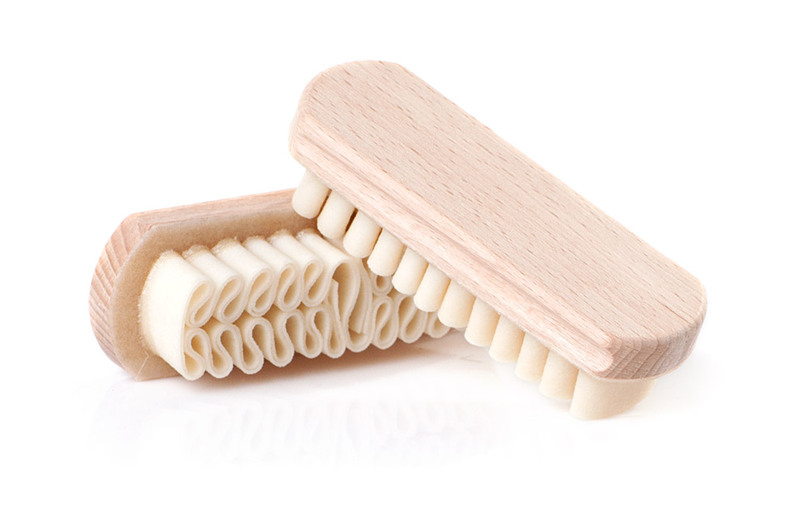 The suede brush with a natural crepe rubber comb will remove dirt and dust from the shoe. Along with the correct shoe care product, it will leave suede fibres looking clean, buffed and refreshed.